Kenver are respected financial advisors specialising in retirement and property solutions. By providing sound advice, thorough risk assessments and a constantly updated array of unique investment opportunities, Kenver aims to demonstrate how it is possible to save in a pension whilst also accruing a lucrative property portfolio; something many people are looking towards these days. Intelligent content planning: For this project we were given a large amount of potential content in various formats. This included print & disk which we judiciously organised, transcribed and edited into easily manageable quantities and specific subject matter for prospective use within the site. Before we begin to even contemplate the design or structure of any Website we carefully address the issue of how the content will be suitably organised and eventually presented online. Good content planning consequently ensures that we design accessible Websites with clear-cut navigation and uncomplicated well laid out structures. As a result visitors are able to find the information they want without any apprehension, delay or frustration. Original custom design & build: Embracing Kenver's existing logo, colour scheme and letter head design, we set about creating a striking but friendly online image. As with all of our work, this site was painstakingly custom crafted from the ground up to encompass Kenver's every need. Stock imagery: Where appropriate professional stock imagery was carefully selected then skilfully manipulated to excellent effect for this site.. Custom scripting & programming: All of our Websites utilise in-house custom written scripting / programming making everything work smoothly behind the scenes. Kenver's Website contains various custom scripted automated 'risk assessment' forms and a general enquiry form. When the site's enquiry form is used, its contents are immediately sent to the Kenver, whilst an automated "thank you" response is also courteously sent out to the enquirers email address. Our enquiry form feature also incorporates various sophisticated anti-spam filters. 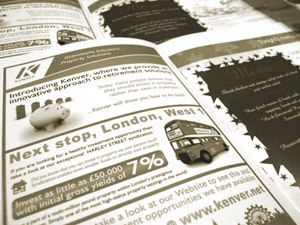 Printed advertising features: Besides creating a bespoke Website for Kenver, we have also had the honour of providing designs for printed marketing media. For this task we were mindful to stay within their existing colour scheme and design criteria so as to present consistent branding across all of their print and on screen media. Custom created Flash feature: As a splash of movement to the site we created a subtle and constant animation feature that, upon the load of each page , presents itself in the top bar of the sites design. Realtime: A further subtle but effective feature that we incorporated into the Kenver Website was a custom created real-time clock (and date) display. Many online clocks use the visitors PC time as a reference, but our clock receives its time from an atomic time server in the UK so always displays accurate and precise information. In the "want it now!" world of the Web, few surfers are willing to wait whilst a Flash feature loads. Accordingly we are always mindful to create FAST loading and efficiently designed Flash features, ensuring the best experience for all Web surfers. Accessibility testing: As with all of our Website's, we robustly tested this site at various key development stages making certain that it would be fully compatible with all popular Web browser packages, (such as Internet Explorer, Firefox, Opera, & Netscape Navigator for example). Format conversion: Before placing any files for customer download on the Kenver Website we appropriately converted them into formats more suited for Web use and good end user compatibility. 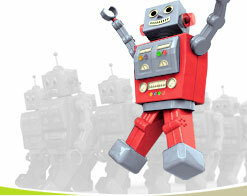 We continue to routinely provide this ongoing service as part of our standard Web hosting remit for Kenver. 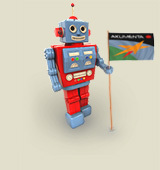 This ensures that all visitors to their Website receive the best experience. Web hosting and housekeeping services - an ongoing commitment: Through our own fast and reliable hosting services we successfully deliver Kenver's Website around the globe. As part of our annual hosting remit we also regularly handle all Website content updates as required. We perform such housekeeping services for many of our customers who find our ongoing commitment to their needs invaluable. Our response time for update requests is incredibly swift, generally within the hour or at least the same day. As well as being refreshingly responsive, our overall approach to content updates is also extremely flexible and generously accommodating within our standard and very affordable hosting / housekeeping plan. Indeed many of our clients have moved over from other service providers to us, for this rare and refreshingly receptive level of ongoing service.